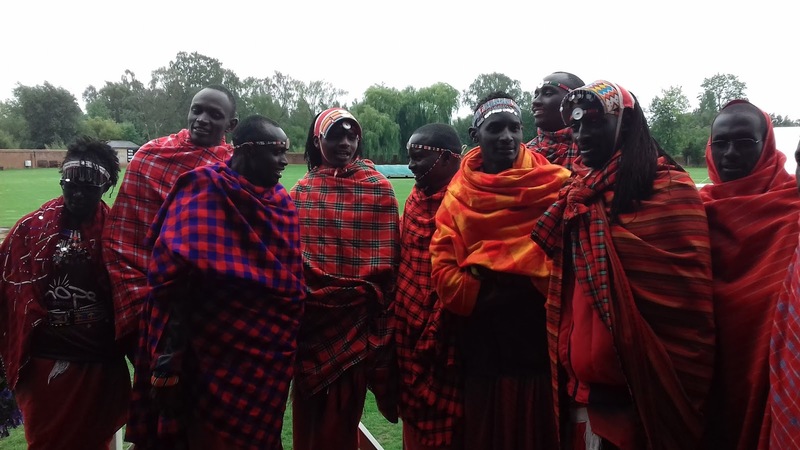 Attenborough Cricket Club: Maasai Warriors - Thank you! Maasai Warriors - Thank you! Despite the very poor weather, the club celebrated the visit of the Maasai Cricket Warriors in fine style. The day owed its success to the enthusiasm and commitment of many cricket club volunteers in getting the ground ready earlier in the day, so that the event could be enjoyed by all. Thank you. Through your generosity, the club enabled the Maasai's to leave The Strand around £1,000 better off, including lots of cricket kit donated by our friends and club sponsors from Owzat Cricket. The Maasai's enjoyed our hospitality to such an extent that they wanted to visit The Strand again - to actually play at our lovely ground in dry weather! Thank you to all of those who volunteered in helping and to those who braved the weather and came along to support the Maasai visit.